With the 2016 Rio Summer Olympics at an end, the young athletes who competed this year remind us all that Millennials are hard working, determined, and anything but complacent. As a Baby Boomer myself, I have facilitated cross-generational communication seminars. Invariably, someone (older) in the audience will say something like this about the youngest generation: “They don’t even know what hard work is. They have had everything handed to them on a platter. They are the generation of entitlement.” It’s time to set the record straight: Millennials have a lot to offer the world. This year, I watched in awe at the physical grace and endurance of the young athletes. They came to Rio to win. And many of them did. Gymnast Simone Biles, 19. What a powerhouse! At just 4’9″ tall, her body was built for gymnastics. 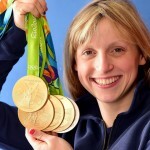 She brought home four gold medals, including Women’s Individual All-Around Gymnast, and one bronze medal. 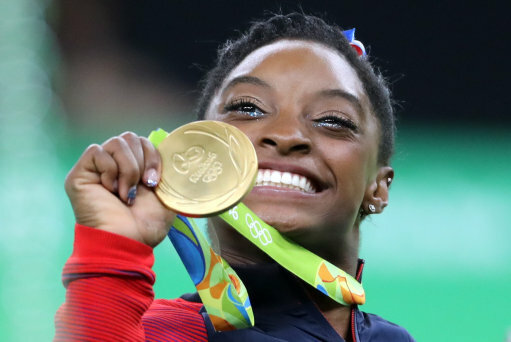 Many in the media claim she is the best American gymnast…ever! 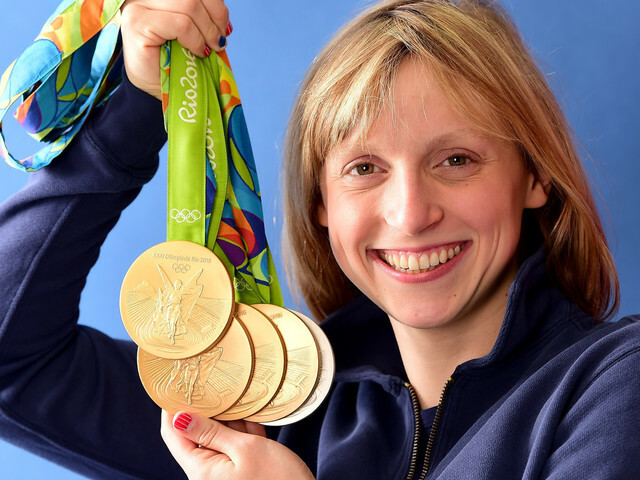 Katie Ledecky, 19, dominated the female swimming competition, bringing home a gold medal in the women’s 200 meter, 400 meter, and 800 meter freestyle races, as well as the American team’s 4 x 200 meter freestyle relay. Add to that the silver medal for the women’s 4 x 100 meter freestyle relay. Ryan Murphy, 21. First time to the Olympics, he brought home three gold medals in men’s swimming, the men’s 100 meter and men’s 200 meter backstroke, and the men’s 4 x 100 meter medley relay. The U.S. Women’s Gymnastics Team Captain Ali Raisman, 22, earned a team gold and individual silver medal. In an interview, target shooter Virginia Thrasher, 19, who won the gold medal for the 10 meter air rifle shooting competition, casually mentioned that she wasn’t able to stick around Rio because she was starting her sophomore year of college in a few days. One of my favorites…Gwen Jorgenson, 30, won one of the most grueling competitions in the Olympics, the women’s triathlon. No small feat. I so admire any athlete who can swim, then bike, then run. And then win. Michael Phelps, 31, the most seasoned American athlete competing in the Rio Olympics, secured 2 individual gold medals, 3 relay medals, and 1 silver individual medal. He remains the most decorated Olympic athlete of all time, with 28 medals total, 23 of which are gold. He is truly a force of nature. Multiple gold medalists include swimmers Simone Manuel, 20, Madeline Dirado, 23, Lilly King, 19, Nathan Adrian, and Caleb Dressel, 20, runner Allyson Felix, 30, as well as first-time gold medalist shot putter Michelle Carter, 30. The list goes on. I know what you’re thinking. “Of course most of the people who compete in the Olympics are young athletes.” I get that. What struck me about this year’s Olympics was the high level of professionalism of the Millennial athletes (minus one). They showed the world that Millennials have the drive and determination to succeed. 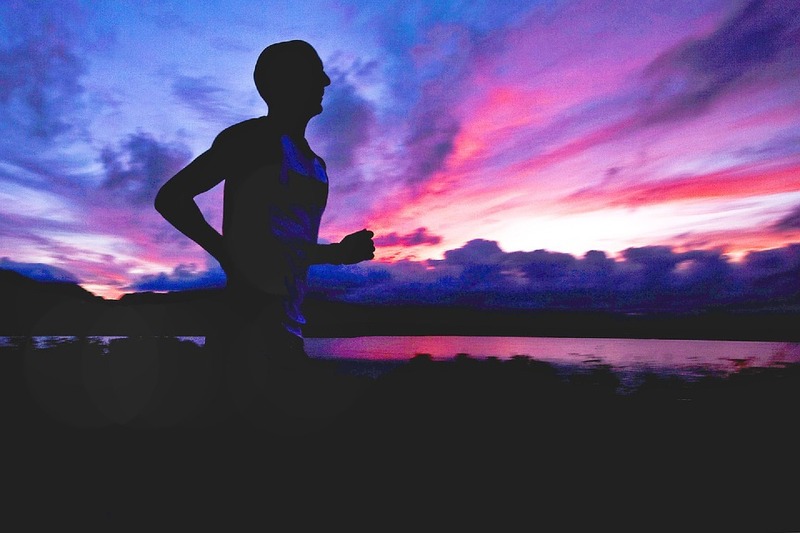 Olympic athlete or not, Millennials offer tremendous value to society and the workplace. Their energy, talent, tenacity, and creative thinking have earned them a place at the table. Let’s invite more of them there, and more often. Social media has worked its way into our psyche so deeply, we often use it in a mindless way. While you’re investing countless hours on social media each day, it could be standing in your way of making real progress on the job. You come into the office early, at 7:30 a.m., to get a solid start to your day. Of course, you scan emails for anything important. A few things catch your eye, like a new Facebook request from someone you met recently. “I’ll just respond to this real quickly,” you say. While you’re visiting his Facebook page, you happen to notice his photo album. “Let me just spend a few minutes seeing if he’s got any good pics.” Then, of course, you have to spend a little time reviewing some of his recent posts. Do you hear that loud sucking sound? You have just been sucked into the vortex of social media. Don’t get me wrong. I love social media. The fact that you can remain connected to professionals through LinkedIn, or friends and family through Facebook, or catch the latest trends through Pinterest or Instagram. It’s all good. When you get sucked into social media when you aren’t prepared or you have no time scheduled for it. It usually begins with a thought, “I’ll just take a few minutes…” until you realize later that you have just spent 30, 60, 90 minutes on social media when it wasn’t planned as part of your work day. Should I do this now or later? Ask yourself if this is the right time to review or respond. Social media remains alive and well on the internet. With the click of a mouse, you are there. It’s ready when you are. How important is this? With all of the work that you have to do, where does social media land on your work priority list? Social media usually doesn’t show up as part of your work day. Is this the best use of my time and skills right now? This is the most important question to ask. When you arrive at the office fresh, ready to plan your day, or tackle those big issues, that is not the time to engage in social media. Rather, it’s time to get to work. Earn a break. To stay on track with work priorities, if you can, schedule a few minutes here and there to check in with social media. It can make your brain more productive during the work day if you take a few short breaks to shift your mindset, like mid-morning, lunchtime, mid-afternoon, or end of the day. When you take those short breaks, and I do mean short breaks, set the timer on your phone for just two, three, or five minutes. When the timer goes off, wrap it up and get back to work. That way, you can still get your work done and remain connected to your contacts. Remember, some companies have software that reviews employee visits to social media sites. Check your employee manual to make sure you are not violating your company’s guidelines. As a hard-working, responsible professional, it’s up to you to figure out where social media fits – if at all – in your work day. With the 2016 Summer Olympics underway in Rio de Janeiro, Brazil, I am watching my favorite events, and learning a lot in the process. I particularly enjoy NBC-TV‘s coverage of the events, especially sharing the athletes’ personal life stories about their journey to the Olympics. On August 8, one story was so inspirational, I had to share it. 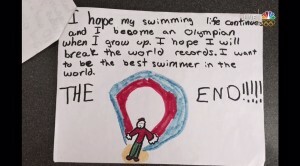 It began with an eight-year-old boy’s interest in swimming, which became a dream and a goal. 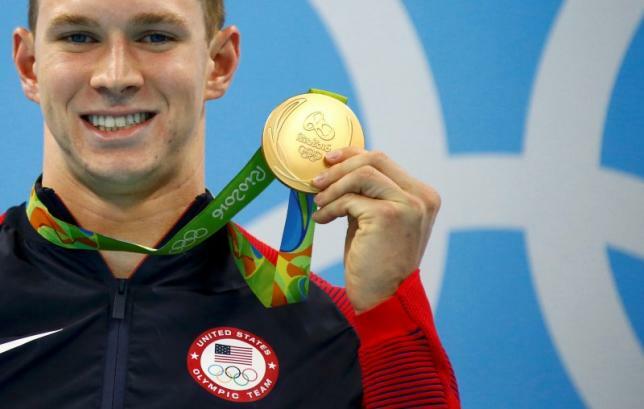 That young boy, now 21-year-old Ryan Murphy from Team USA, claimed a gold medal in the men’s 100 meter backstroke swimming competition on Monday, with his parents witnessing his completion of that goal stated more than a decade ago. On Monday, Ryan’s goals were fulfilled. State a powerful intention, a dream, a vision, a goal. Learn from the best. Work with a coach or a mentor who can help you achieve your goal. Show physical, mental, and emotional strength. There will be times when you think you can’t make it. Keep strong. Be persistent. Keep at it. Keep your focus on that end goal. Practice! To improve in anything, you need to practice every day. I learned that lesson from my piano teacher. Post a visual reminder of your goal. 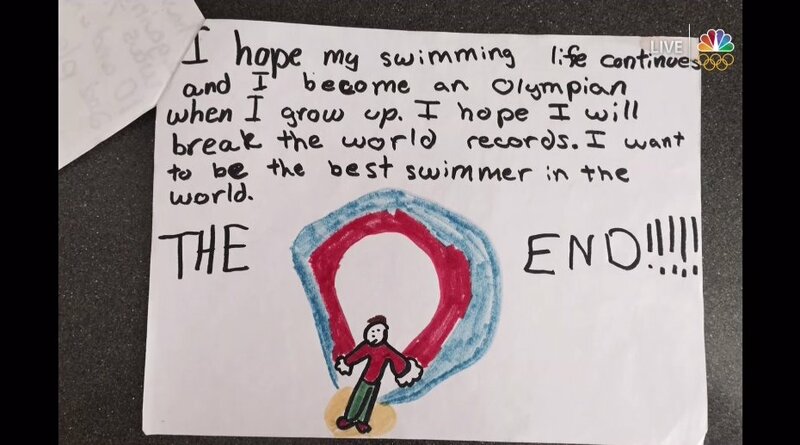 Even at eight years old, Ryan Murphy put his intentions on paper. At that young age, he knew what he wanted. A visual image helps you see what accomplishing your goal will look and feel like. Enhance your talent or skill. You have to be good at it. To make it to the Olympic medal platform, of course, you have to be exceptionally good. Give it your all. Push yourself beyond where you “think” you can go. If you find yourself struggling to achieve goals, let Ryan Murphy’s example inspire you. Reflect on what it takes to get there…all of the above!